It has been a while I have gone to a tech conference. 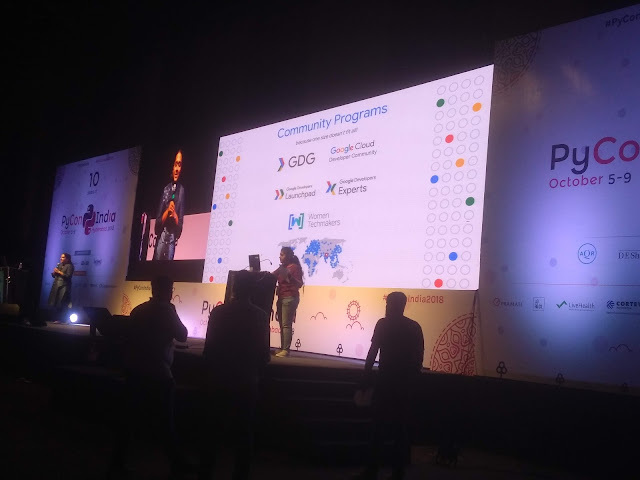 I had been to JavaOne, Google Devfest (even when I am not speaking) and also reported on some of them. The report posts were mostly notes on the things I had learned, for me being able to refer at a later point of time. 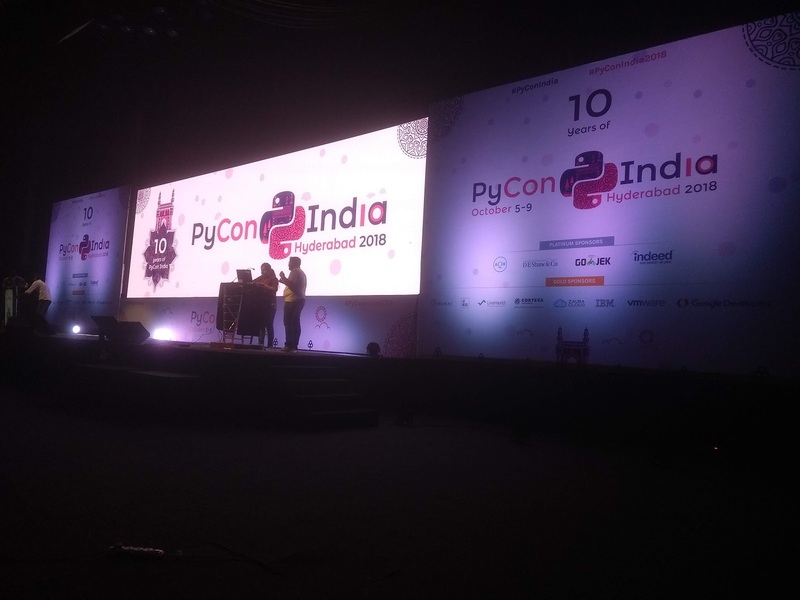 Last year PyCon India was in New Delhi, some of my colleagues who worked on Data Science and Python Microservices had been there. I got mixed feedback from them. Some said sessions and workshops were very basic i.e. beginners level and some said topics were too specific and deep to be able to grasp at runtime during a conference. This year it was the 10th year of the conference and held at my own city Hyderabad. It has been quite sometime I have been working on Python-based projects and running them in production also, so there was no excuse to miss that. I did not really get a chance to attend the workshops but got a chance to represent Google Developer Community on the conference day. The day started with a keynote from Armin Ronacher who is better known as the author of Flask. 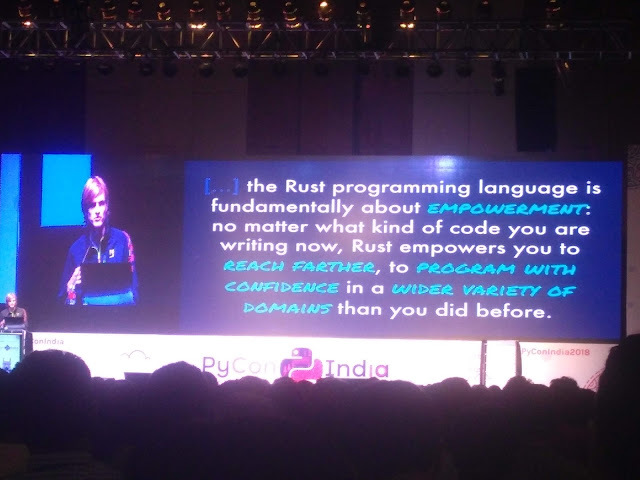 He talked about current flaws in the Python ecosystem and how other communities like Rust learned from these problems and approached in a different way to fix them. He was really vocal about what he thinks would be a perfect future roadmap of Python as a language and its community. There were several interesting talks in all 3 tracks after that. 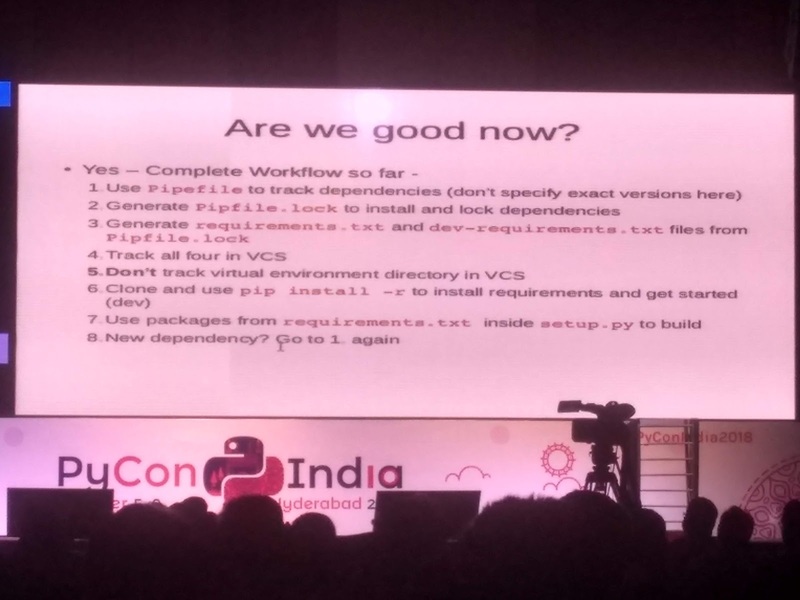 I enjoyed the talk by Abhijit Gadgil who spoke about python project workflows. It was quite basic but very important in my opinion because hobby developers, teams, startups tend to ignore complete workflow settings when things run and they see the output. From a maintainability standpoint its extremely important invest in workflows from configuring source control to linting. This helps in increasing productivity in long run. There were several lightning talks by various communities and organizations. Last but not the least it was great meeting fellow GDG community members, folks from AQR (Creators of Python Pandas ), Zauba Cloud, GOJEK and the organizers (Including the chair of PyCon India himself ) of PyCon India itself.